(Various viruses) There are numerous virus diseases, which attack many ornamental and edible plants. They produce a range of different symptoms, mainly discolouration and distortion. These diseases are caused by viruses that live in plant cells. Here they alter the cell’s internal processes causing the cell to change how it works and performs. This produces a wide range of different symptoms, depending on which virus is involved and which plant it has infected. These include discolouration, distortion, stunted growth and/or poor or irregular growth. Some symptoms can be very hard to distinguish from other problems, such as some plant disorders, including mineral deficiencies, other diseases or even weedkiller damage. While virus infections can cause severely distorted growth, they rarely kill their host plant. However, an infected plant becomes a source of infection for other plants. Recent new viral infections to affect garden plants include canna yellow mottle virus (CaYMV) and canna yellow streak virus (CaYSV), hellebore net necrosis virus (HeNNV) and impatiens necrotic spot virus (INSV). Not all plant viruses are bad and affect plant growth. Colour breaks in the flowers of some plants, tulips being a good example, originally came about through viral infections. Leaves Yellow or pale green discolouration in various patterns, such as streaks, splashes, mottles, mosaic patterns, spots or ringspots. There may also be areas of brown, dead tissue – necrosis. 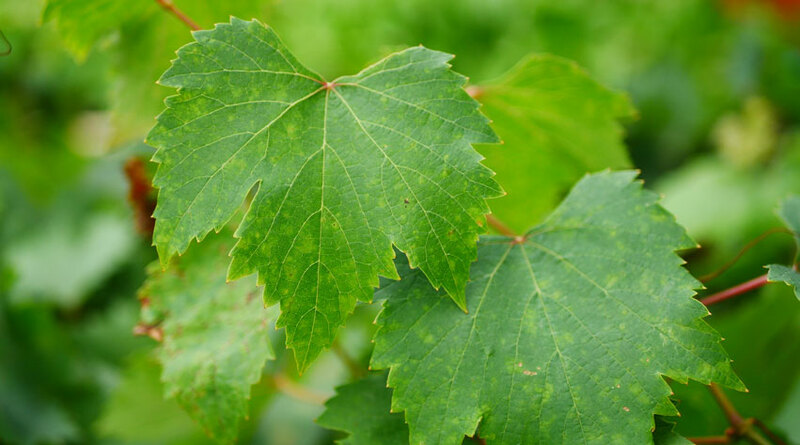 Leaf growth may also be stunted or distorted, often with a very reduced leaf size or leaf area, and including leaf crinkling, leaf rolling or leaves bent downwards. Flowers Small, misshapen or distorted flowers. There may also be white streaks where colour is totally missing or patches of other colours. Fruit Similar to flowers, affected fruit may be distorted, malformed or irregularly shaped, and with irregular colour patterns. Shoots A proliferation of congested tufts of stunted stems – called a witches’ broom. Viruses are usually named after the first plant they were originally discovered on and the symptoms they produce, then with a shortened letter version, such as tomato spotted wilt virus (TSWV), cauliflower mosaic virus (CaMV), tobacco mosaic virus (TMV), which attacks members of the Solanaceae family including tomatoes. What are virus diseases caused by? Viruses are microscopic parasitic organisms that infect and live in the cells of their host. They can attack any cell – whether it’s those in the leaves, stems, flowers or fruit. Sap-sucking insects, such as aphids and whitefly, or insects that eat the leaves. Fungal diseases or eelworms (nematodes) in the soil. Gardening tools, such as secateurs and pruning knives. By infected cuttings, and a very few may be in infected seeds. Once inside the host cell, the virus causes changes within the cell that disrupt and change its normal processes and growth activities, producing the visible symptoms on the plant. The symptoms displayed are determined by the virus, or viruses present, the proportion of each and even environmental conditions, such as temperature. Some viruses don’t produce any symptoms, apart from poor growth, and are sources of infection for spreading to other plants. Many viruses can’t survive for long or at all outside their host or vector and die rapidly. But some can, and are transmitted on tools, hands and even survive composting. Try to keep plants growing as strongly as possible as this may help them fend off attacks. Control insect vectors, keep growing areas clean and sterilise the blades of pruning tools. Once infected, there is nothing you can do to control the disease. As infected plants are a source of infection for otherwise healthy ones, they should be dug up and destroyed. Don’t attempt to propagate any plant with a virus infection. Wherever possible, raise from seed instead, since a tiny proportion of viruses are transmitted through seeds. Keep insect pest attacks to a minimum – especially aphids, whitefly, thrips and leaf-eating beetles – especially on plants that are known to be susceptible to viruses. Wash hands and disinfect tools after handling infected plants – or those suspected to be infected. Control weeds, as they can be sources of infection. Unfortunately, there are no chemicals available to home gardeners to control virus diseases. Control insect pests, such as aphids and whitefly, if these are the vectors that spread the disease. Wherever possible, check plants for symptoms of virus diseases when buying plants and always buy virus-free plants. Some varieties of edible crops are listed as being resistant to virus diseases. Bear in mind that over time such resistances can break down.